Instagram is definitely the ultimate place for hair inspo. Hairstylists are ready to play with colors and techniques more than ever before. Since it’s summer they treat us with vibrant new hair trends on regular basis. Just yesterday we were talking about the innovative color misting technique and today we have another trend that is worth mentioning. This one is	reserved only for the bold ones. Neon hues aren’t colors that everyone would dare to wear. 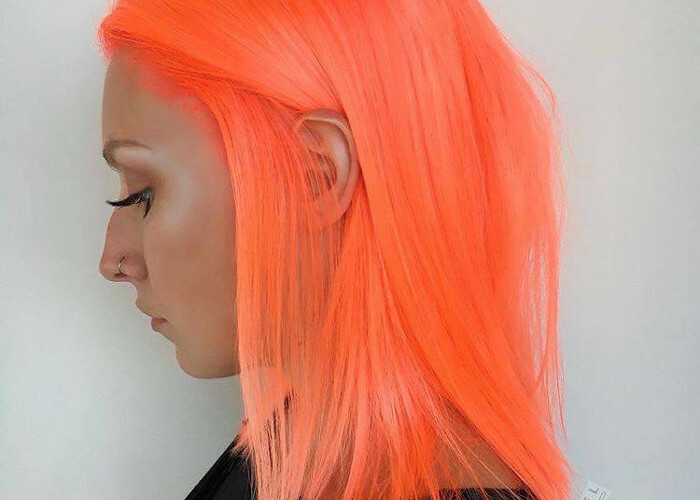 Anyway, the latest neon peach hair trend might change your opinion for good. After all, there isn’t a better way to celebrate the summer season than to flaunt vibrant colors. 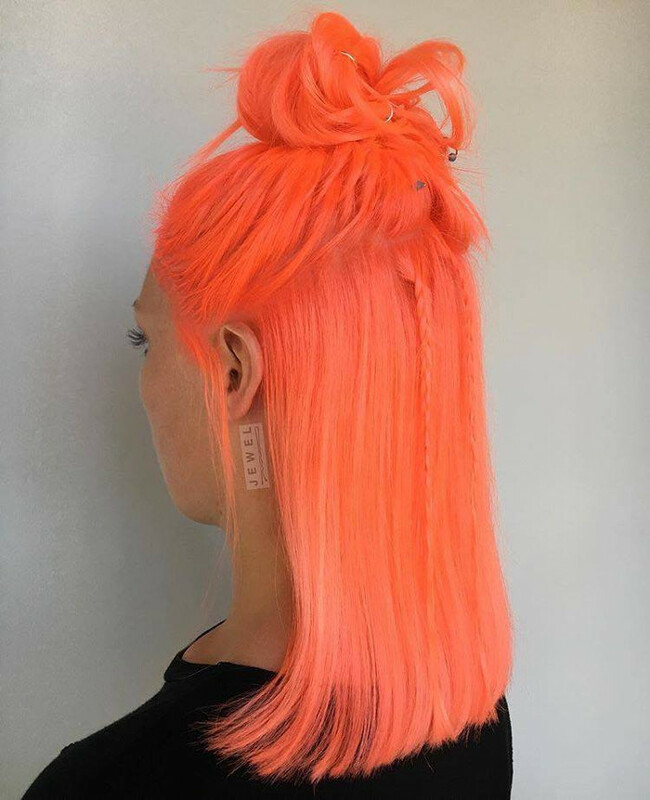 The person behind the neon peach hair trend is Jessica Jewel, a very talented hairstylist from Los Angeles. 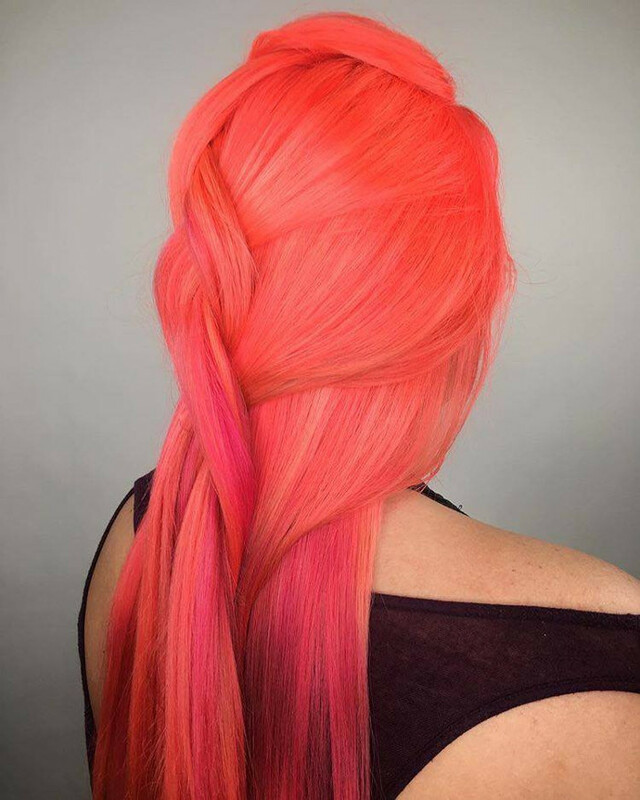 Her neon peach hair dye job is so vibrant that you may need sunglasses to admire it. After all, you have to be comfortable with people staring at you in order to pull off this hair color. 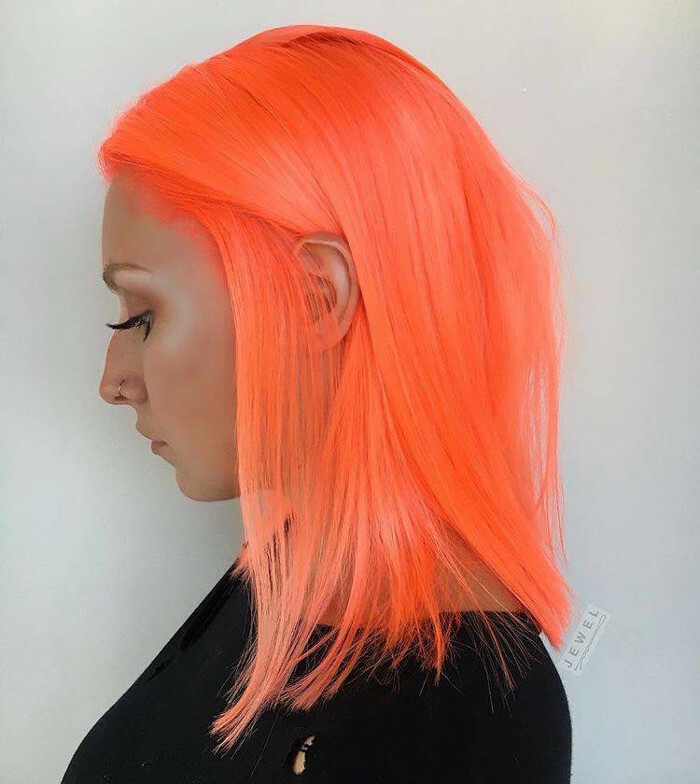 Jessica uses hair colors from the Pulp Riot’s Electric neon dye collection. 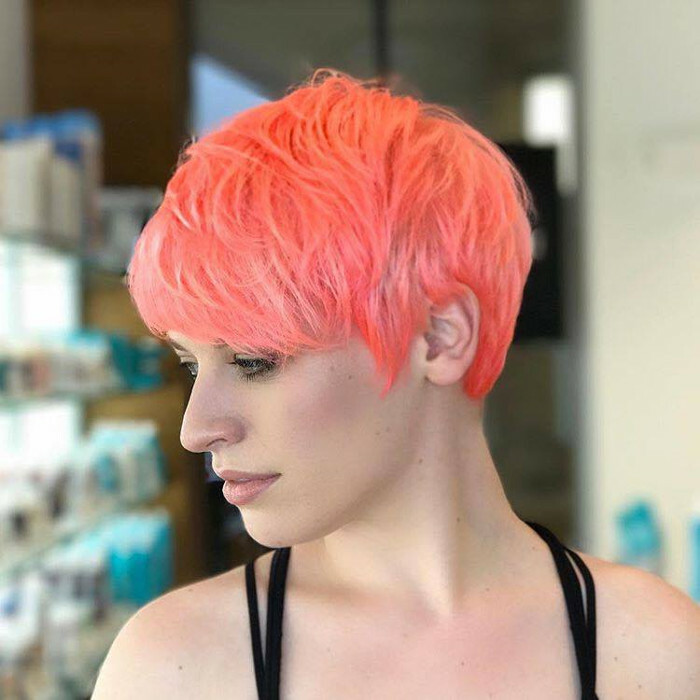 To get the unique neon peach color she mixes the shade Candy which is a vibrant pink color and Lava which is a neon orange color. To be more specific, she puts four parts of the color Candy and one part of the color Lava. She applied the mixture to lightened hair and the results are bombastic. 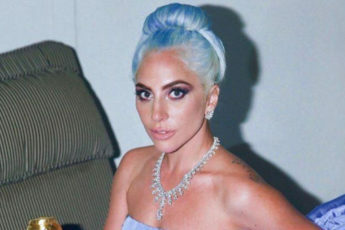 Just for the records, Pulp Riot hair dyes were used for the ocean hair trend as well as the color misting hair trend. Apparently when hairstylists want to create something dramatic and extreme they reach for these hair dyes. The company sells these hair colors only to professionals. 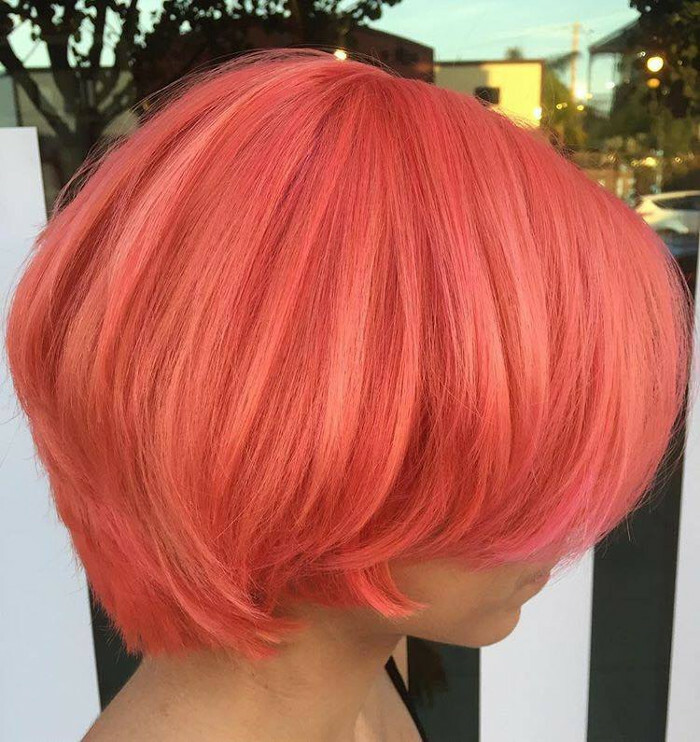 So if you want to try the neon peach hair trend you have to make an appointment at the salon. To be honest, for such a dramatic change like this one it’s probably the safest to let a professional do the job. This is probably one of the most daring hair trends on Instagram so far. Not everyone is ready for such a dramatic hair transformation, but those who are will most certainly get all the attention everywhere they show up.